Are you looking into weatherproof roofing? Want to make sure your roof can help weather all seasons? Before you go and look into roof repair, get to know more about asphalt shingles and what they are made of. Today, Home Pro Exteriors, Inc. discusses why asphalt shingles may be the perfect choice for your roofing needs. Asphalt shingles are among the most widely-used roof covers in North America because they are relatively inexpensive and easy to install. There are two types of base materials used in making asphalt shingles – organic and fiberglass. Organic shingles are usually made of wood fiber, waste paper and cellulose. They’re also saturated with asphalt to make sure they’re waterproof. On the other hand, fiberglass shingles have a base layer of glass fiber bonded with urea-formaldehyde resin coated with asphalt and mineral-fillers to make them long-lasting and durable. Because fiberglass shingles have a superficial layer of adhesive and ceramic granules, they are known to be better in resisting fire compared to organic shingles. So, if you are looking into getting a roof replacement, asphalt shingles might be the right choice for your new roof. Make sure you have chosen shingles that pass the quality specifications of the American Society of Testing Materials (ASTM). The ASTM has developed a guideline for roof shingles based on their use and durability. Choose the right shape and texture of asphalt shingles that work best for your roofing needs. Architectural shingles are multi-layered and provide added resistance for water. Meanwhile, laminated shingles are more durable than the shingle designs. To reduce your electric consumption, solar reflecting shingles might best fit your needs because these help reduce air conditioning costs due to their reflective surface. Make sure the roof shingles can weather different factors like hail, fire, wind, algae and water. Choose the kind of roof shingles that can protect you from various calamities. Now that you know all about shingles and how they can address all your roofing needs, make sure you only go to a trusted roof and siding company. 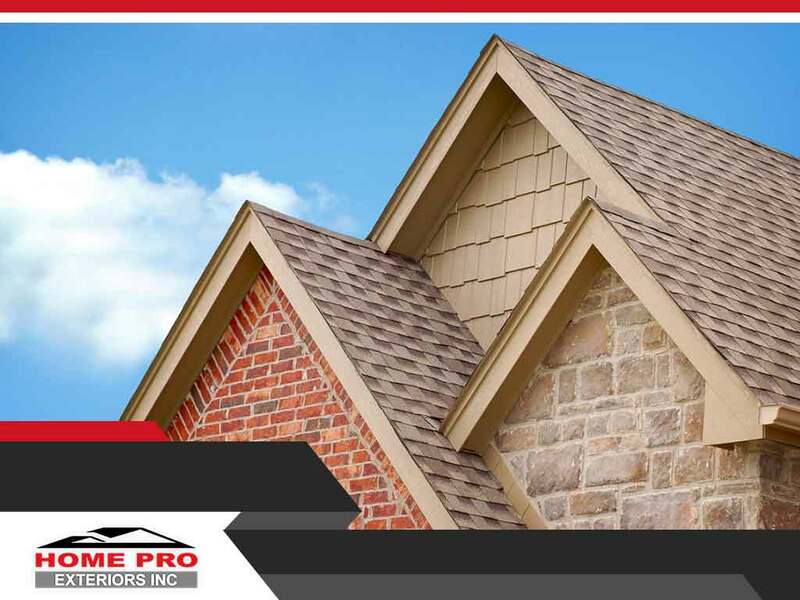 Home Pro Exteriors Inc. has over 30 years of combined experiences in providing expert roofing services. We are the leading contractor for roof repair in Middletown, NY. Call us today at (845) 747-0035 for all your roofing needs.